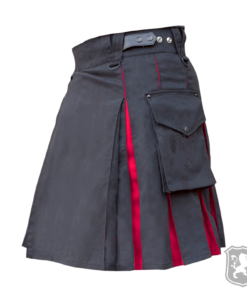 The Black and Red Deluxe Utility is another great addition to our utility kilts catalogue. 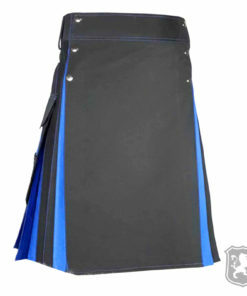 It is made out of a very durable material and it can be worn as formal or casual. 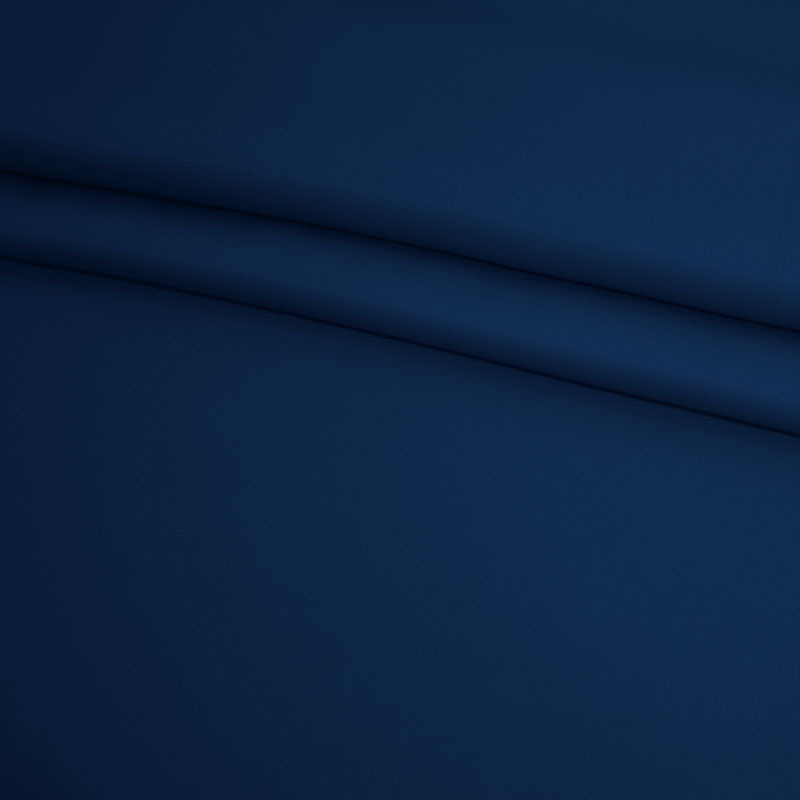 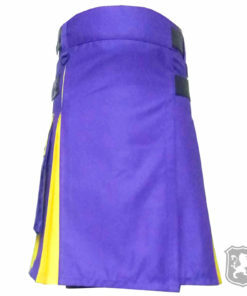 The front apron is detachable which means that it can be replaced with different ones. 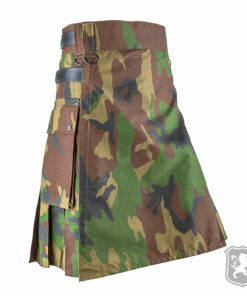 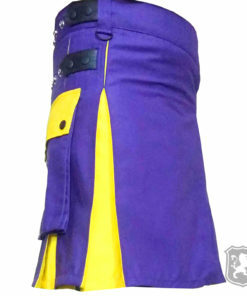 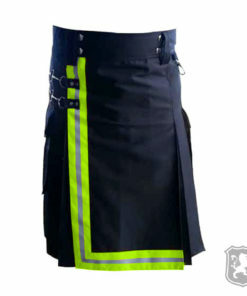 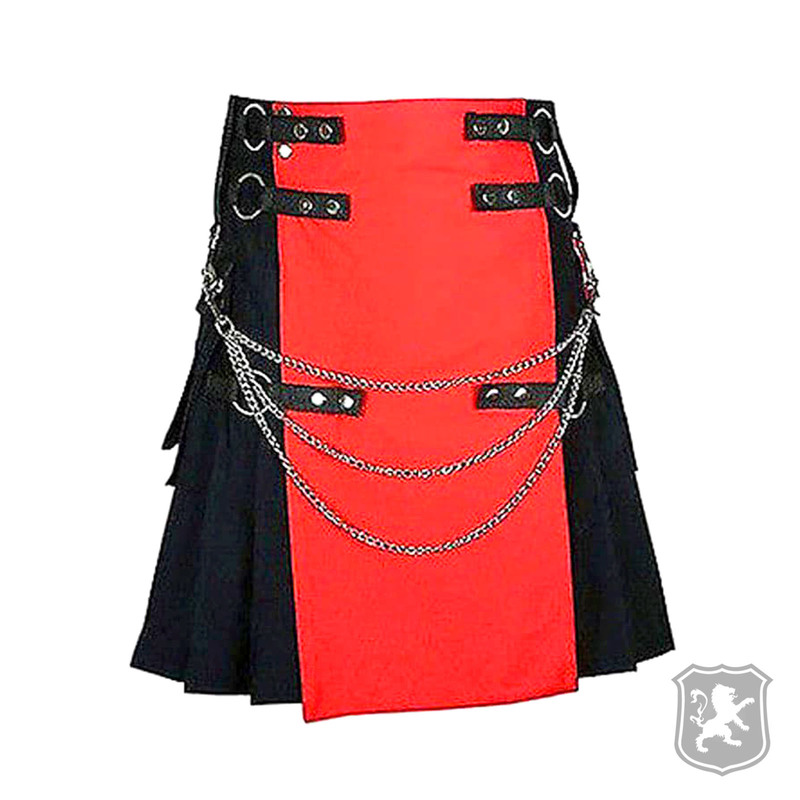 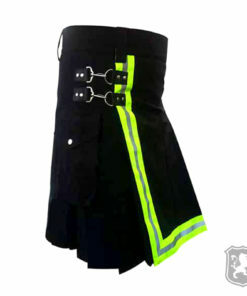 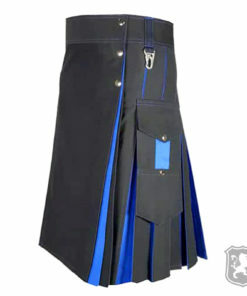 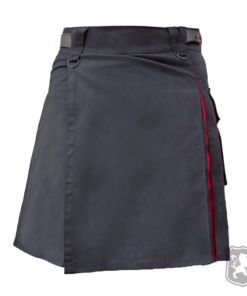 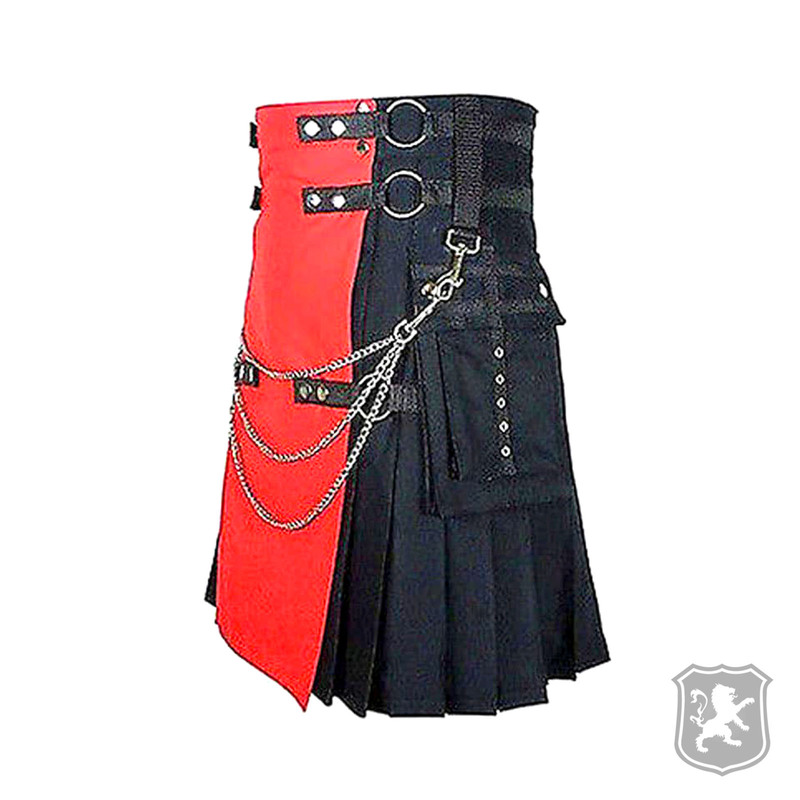 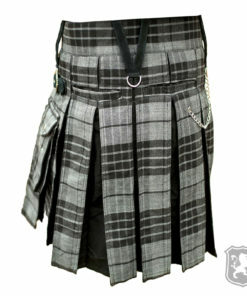 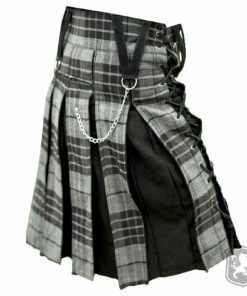 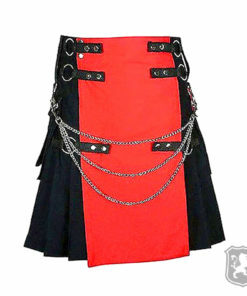 On the front of the kilt you will see that it has red detachable apron with three black straps on either sides with chrome decorative buttons embedded on them. 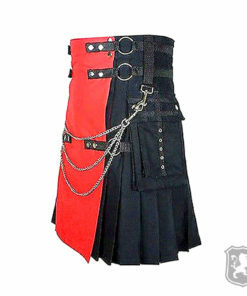 You will also see three chrome chains hooked by using the straps. 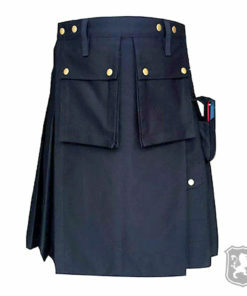 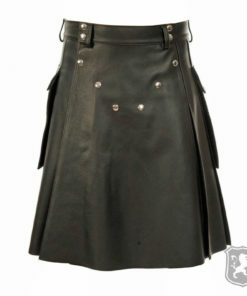 On the side, this kilt has two large flap pockets with black straps on the pockets used for decoration purposes only. 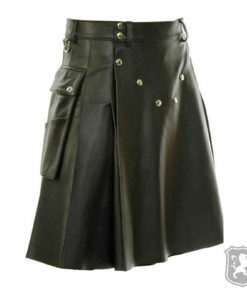 You will also see that it has six chrome frame holes on the pocket that are also used for decoration. 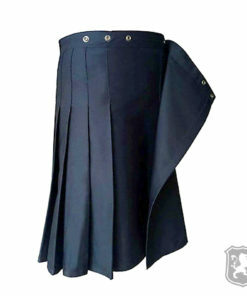 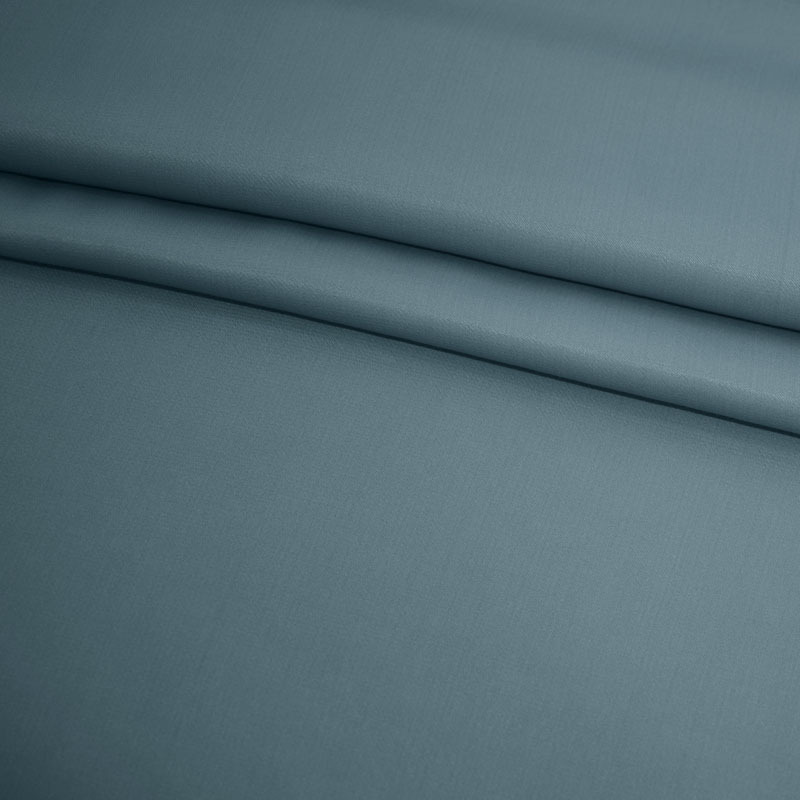 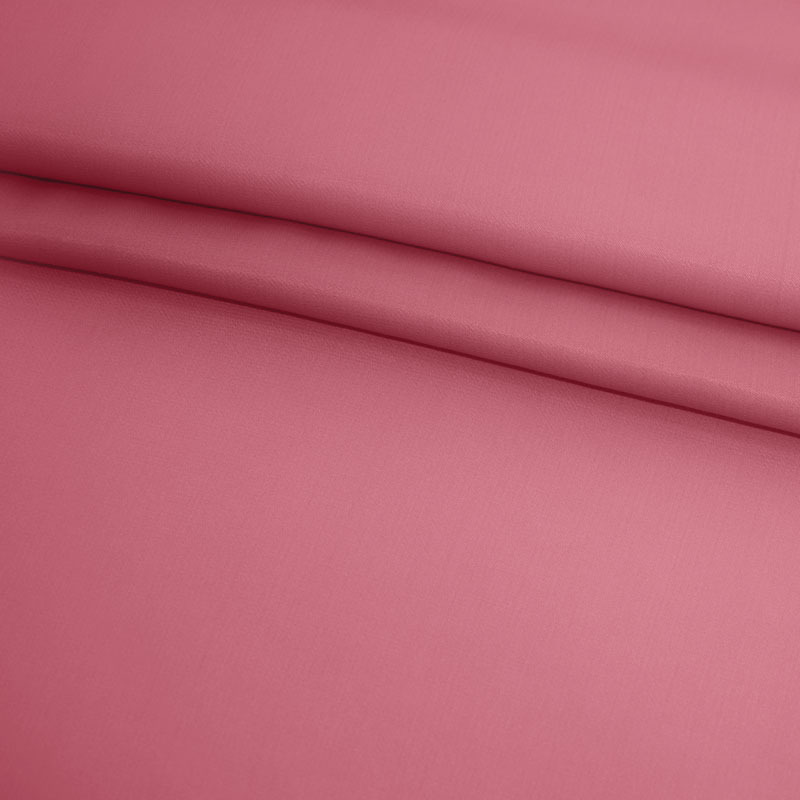 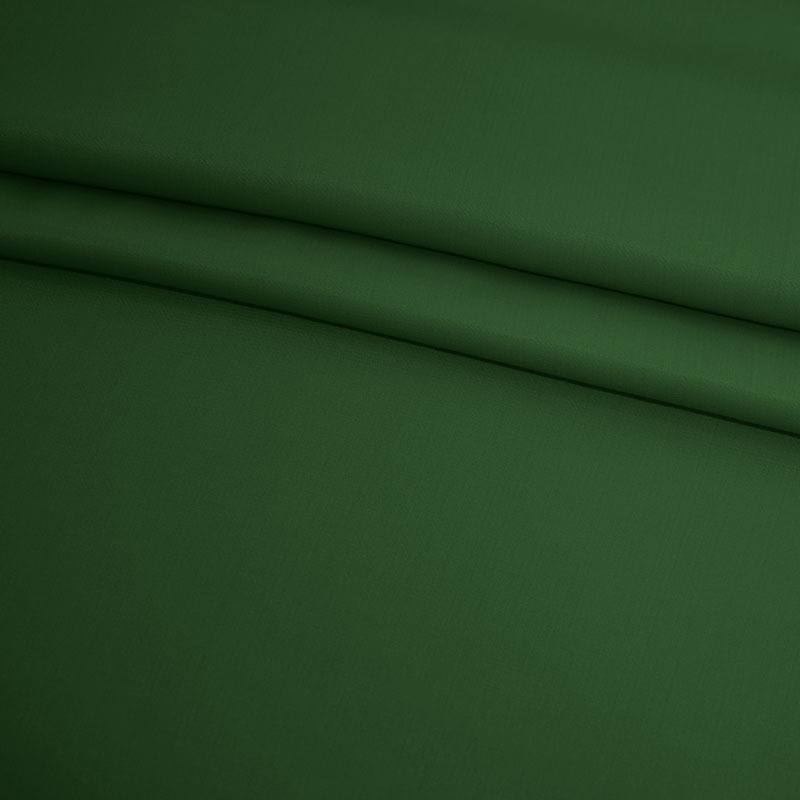 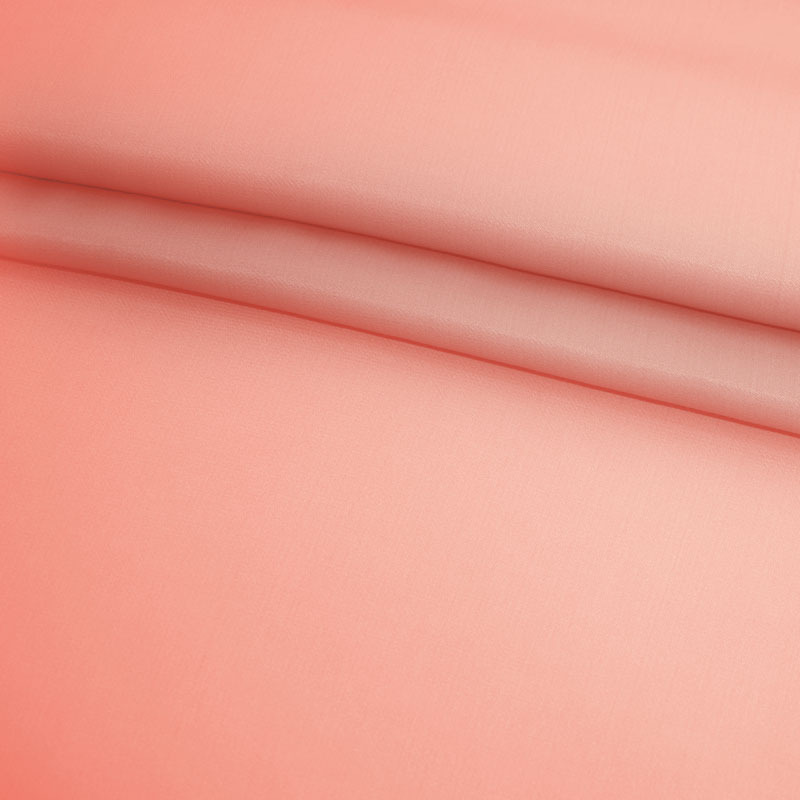 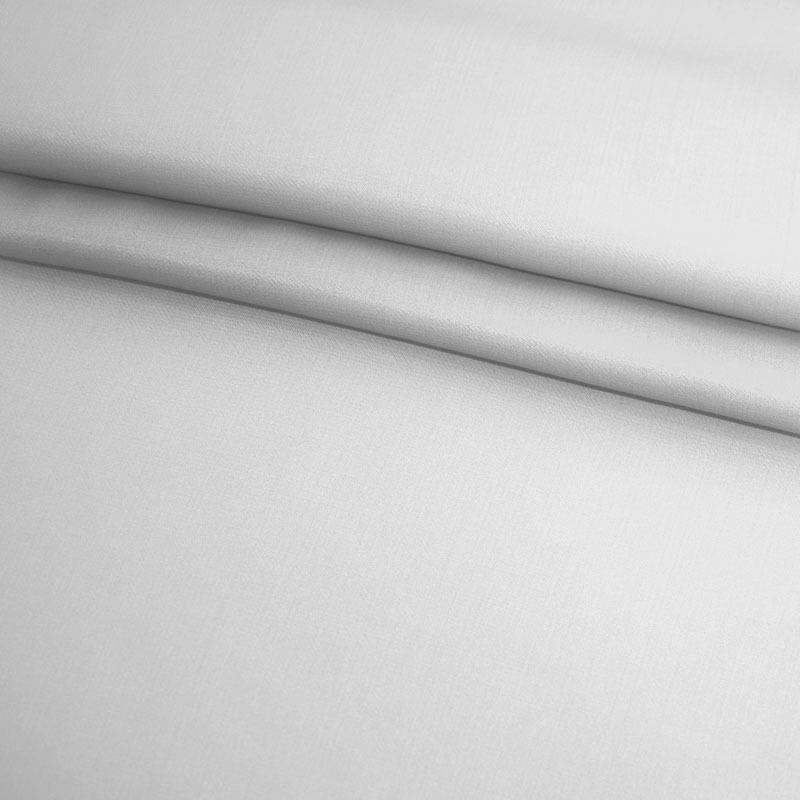 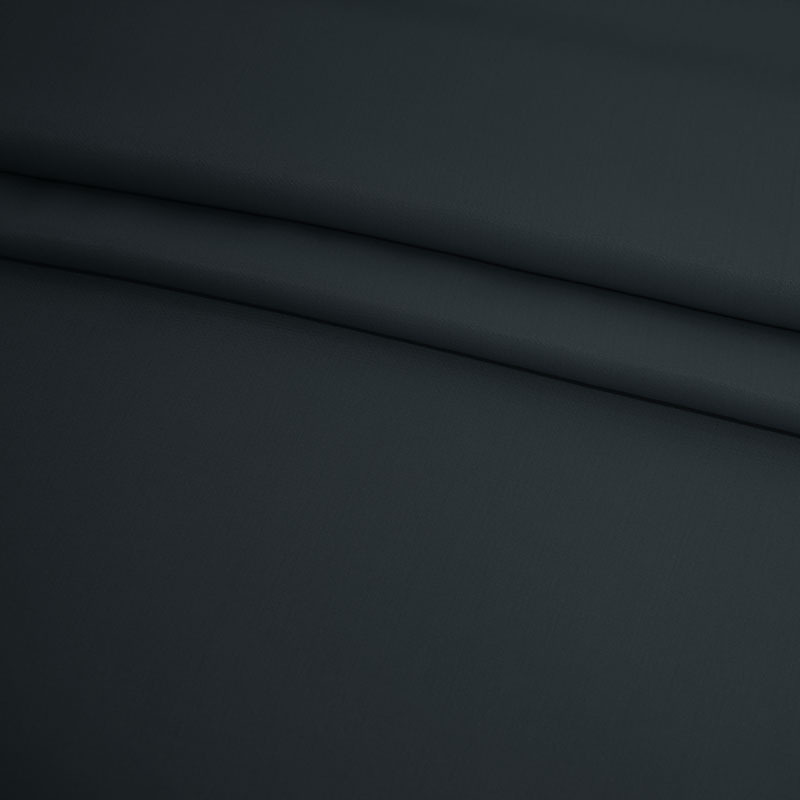 The pleats are sewn at around 2.5 inches deep but it can be customizable according to your needs. 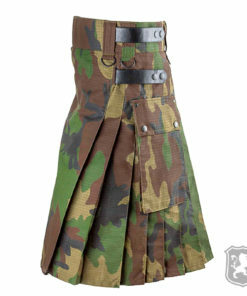 I am really impressed with the quality of the fabric and the overall kilt. Thanks!